Today’s 500.000 cashout would take us to 4217 Satoshis, a drop of only 200 Sats at the time of writing. During the last few days, despite the favourable fundamentals of this market at the moment, we’ve seen a significant number of big 5 and 6-figure cashouts. The question arises of why ? If there’s so much good news and activity going around, why is there so much cashing out going on and of such large amounts ? Who would sell a quarter of a million NxT in a single sale at rock bottom prices when we’re days away from new technology rollouts and major media coverage ? To most of us, the phenomenon of rich NxT stakeholders is spectator sport only. On the face of it, it may seem an enviable position to be into one of those 7 figure balances where your calculator tells you you’re sitting on a small fortune worth x-hundred’s of Bitcoin. However, try realising the amount on the display panel and that trip on Richard Branson’s spaceplane suddenly fades back into dreamland. Unfortunately your calculator is blissfully ignorant of the ‘real world’ and mistakenly assumes a 100% liquid market. It doesn’t need buyers and can cashout your full stash at the price of the last trade. On the other hand, you do and cannot. Market liquidity is gold dust to a large holder trying to realise their holdings. As the price rises, liquidity becomes more sparse. A bit like climbing a mountain and breathing the rarefied air near the summit. There’s simply less of it. What that means is that anyone waiting for the price to rise before cashing out will be constantly disappointed because they can’t have both – price and liquidity. This must have become a frustrating process for some stakeholders over the last few months. They haven’t “crashed the market” trying to exit as so many predicted would happen early on in NxT’s existence. The reason for that is in no small part due to the exciting ongoing development work that’s being done in the currency. At the same time, they would have to crash the price a little bit if they wanted to realise a 6 figure sum when the market is at its more elevated cruising levels. It appears that this is not an attractive option for NxT stakeholders – at least not as much as being able to realise the amount of Bitcoin that their calculator told them they were “due”, even if the price is low. 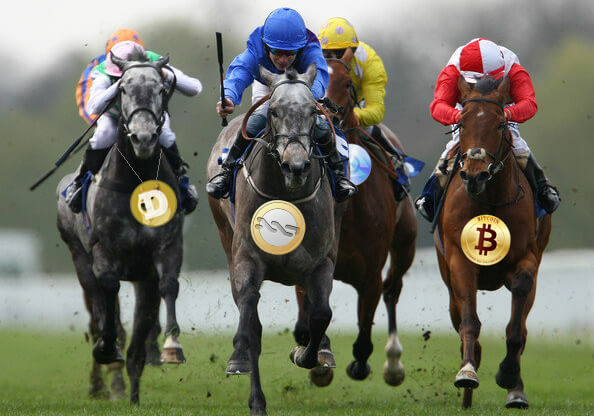 The “bullish fundamentals” amount to increasing good media coverage in the cryptocurrency blogs, forums and press due to the imminent launch of the NxT asset exchange as well as new 3rd party commercial initiatives being announced and alluded which capitalise on the new blockchain features. Some large holders therefore, could be slightly more interested in liquidity than price which may explain much of the recent selling spree. Have a look at the 500,000 cashout reach in today’s market depth statistics – a sale of 500,000 NxT, (0.05% of the entire NxT money supply) only results in a 200 Satoshi price change. So finally, a large holder can actually realise what their calculator told them they owned without having to destroy the order book and the price with it. This is a very enticing prospect for them. It is also reassuring for us “market-minions” (apologies to readers who may actually be the subject of todays report) because it shows that there is a price at which large amounts of liquidity become available. Over time, as distribution improves and assuming continued development of fundamentals, this ‘threshold’ price should increase. It also shows that NxT’s little distribution “problem” may not be a problem at all and may actually be quite containable, albeit it will take a while for propagation to occur. Once this ‘munching ground’ level was reached, 24 hour volume on BTER more than doubled, reaching a peak of about 1.5 Million NxT on Friday 25th April. What’s interesting now though is that suddenly, big sells appear to have slowed if not stopped altogether late this afternoon (Mon 28th). For the last couple of hours, Market Report has been watching 200,000 NXT’s worth of buy order at 4660 attract about as much interest as a glass of sour milk. Only this morning that would have been gobbled within 10 minutes. Furthermore, trading analysis tools now report the 500,000 buy-in as “out of order book”. These anecdotal observations appear to agree with moving average analysis – the 12 hour MACD histogram today put in its first green block since April 20th, the 4 Hour pushed wide again to the upside after threatening to crossover in nosedive fashion yesterday. The 1 hour crossed decisively over in the last couple of hours, also to the upside. So we may have seen a bottom for now at precisely 4000 Satoshis this afternoon. From here, all else being equal, favourable media coverage is only going to slowly increase towards the AE launch date. (Of course “all else” is never equal and traders should always be on their guard and inform themselves as fully as possible). Although today’s report is fairly bullish, please always be careful, stay as informed as you can and ultimately listen to your own instincts. NxT Market Report presents one view as a stimulous for thought and discussion. There are always valid alternative views that can be considered. According to current market depth, the price looks buyable at below 5000 Satoshis but NEVER throw money at markets in excitement whatever the price and only trade what you can afford to loose since cryptocurrency markets are inherently volatile and can turnaround quickly. Also bear in mind – investment vehicles are not democracies but this works both ways. It means you can have just as much fun being part of the NxT project and watching / participating in its evolution with a stake of 1000 NxT as you can with 100,000 or 1 million.